Instead of providing independent advice on the proposed Nam Theun 2 dam, the International Advisory Group has become a promoter of the project, despite documenting the impacts that project-related logging is having on the forests nearby. By Chris Lang. Published in WRM Bulletin 50, September 2001. The World Bank is edging towards making a decision on whether to award a US$100 million loan guarantee for the proposed Nam Theun 2 hydropower dam in Laos. 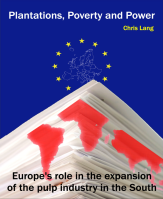 Without the World Bank’s guarantee commercial investors will not risk lending money to a joint venture project with the “formerly communist” regime in Laos. In fact, the project is in breach of several of the Bank’s guidelines. The Bank’s guidelines on forestry, for example, state that “Bank involvement in the forestry sector aims to reduce deforestation, enhance the environmental contribution of forested areas, promote afforestation, reduce poverty, and encourage economic development.” In the case of the Nam Theun 2 project, a Lao military-run logging company has logged much of the proposed 470 square kilometre reservoir area and at the same time has logged in forest areas outside the reservoir. The project has already led to increased poverty, as villager’s lose their forests to loggers, and are excluded from remaining areas of forest to preserve biodiversity. 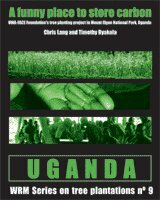 In May 2000, the World Bank produced a “Logging Survey Mission: Technical Report” which documented examples of logging outside the reservoir area. The Mission described the logging in various areas supposedly off-limits to loggers as “systematic”, “extensive” “widespread”, and “large scale”. The Mission reported “systematic, large scale (hundreds of stumps), recent logging” inside the National Biodiversity Conservation Area. The hydropower dam project proponents argue the NBCA will be conserved through funding from the project developers. The Mission also found “systematic, large scale logging” in the areas planned for resettlement of villagers to be evicted to make way for the reservoir. 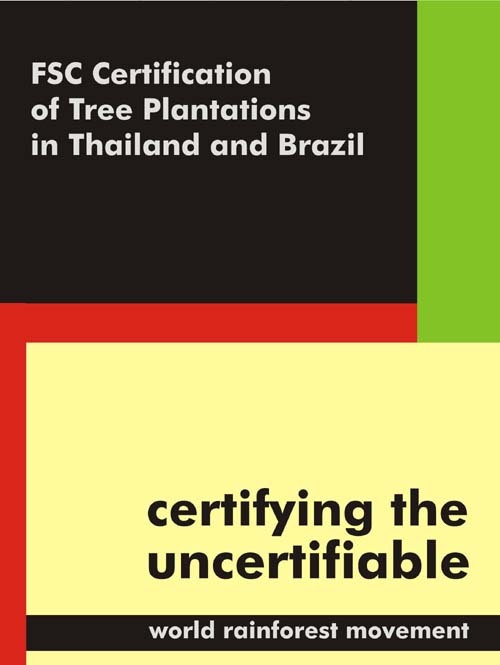 Rather than pointing out that this logging was project related, and clearly in breach of World Bank guidelines on forestry and involuntary resettlement, the IAG reported in March 2001, that it “was encouraged by several developments on the forestry front” and that “the great majority of the illegalities” had been stopped. The IAG report simply ignores the damage the logging has already caused. The project-related logging has led to the development of a considerable timber industry in the area. 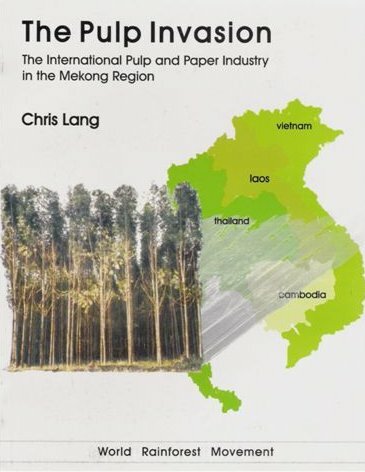 The IAG report discusses the “pressures to log” and mentions a Taiwanese company, Chang Lin, which has build a “very large timber processing complex outside Laksao” which is processing Fokienia trees for export. One of the factory’s products is veneer for export to Europe and Australia. The World Bank Mission notes that Fokienia is relatively rare and that the only sources near to the factory are inside the National Biodiversity Conservation Area and in the Northern Extension area which the IAG has “strongly and repeatedly” recommended be protected “for its unique biodiversity”. The Chang Lin factory is only part of the over-capacity in wood processing in this area of Laos — part of an industry that has grown as a direct result of the logging of the proposed Nam Theun 2 reservoir. 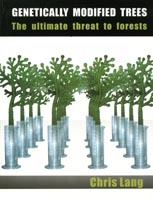 In 1996, Margules Groome Pöyry an Australian subsidiary of Jaakko Pöyry, the world’s largest forestry consulting firm, produced a “Forestry Report” on the Nam Theun 2 project. According to the consultants, the demands of an expanding forestry industry are to be met through a plantation programme. 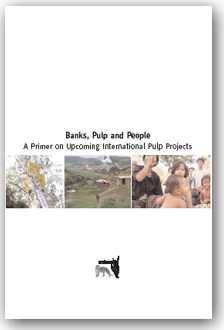 The consultants add, “The use of resettled village labour, combined with appropriate training and management programs could provide important wood fibre in the future.” In other words, villagers evicted to make way for the reservoir are to be employed as labourers on tree plantations supplying wood fibre to a global market. Villagers’ knowledge of the forests, their livelihoods and their culture, are simply to be swept away. When the World Bank’s International Advisory Group visited Ban Sailom, one of the villages where people have already been moved to make way for the dam project, villagers welcomed them with presents of orchid plants from the forest. The IAG report comments, “Generosity to visitors is a cultural feature of the people, but nature conservation is not.” The IAG recommends “nature conservation education” including videos, slides and posters for the villagers evicted to make way for the reservoir. This incident reveals the inherent bias of the IAG. Rather than focussing on the environmental and social problems associated with a massively destructive hydropower project, the IAG seems determined to portray villagers as a threat to the forests. Instead of sliding ever further into a disastrous project, the World Bank should reject the Nam Theun 2 hydropower project and begin a process of compensating villagers who have seen their forests and their livelihoods damaged as a result of the project.